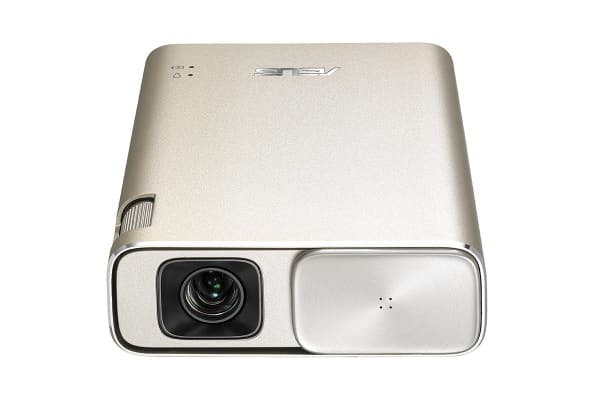 Though small enough to fit in the palm of your hand, the ASUS ZenBeam Go E1Z USB-C LED Pocket Projector delivers bright and crisp imagery of up to 120 inches wide (diagonal measurement). 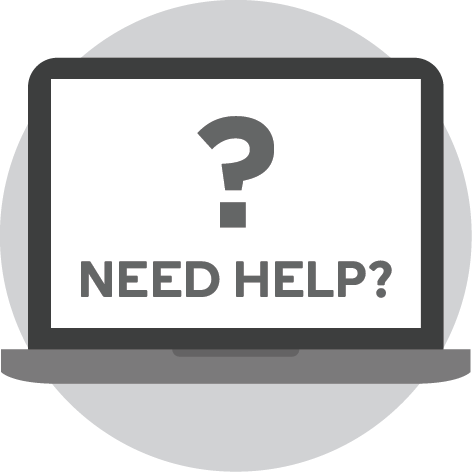 Simply plug it in via a standard USB 2.0 connection or the bundled USB Type-C adapter and then begin projecting from your PC, laptop or mobile device. The ASUS ZenBeam Go E1Z USB-C LED Pocket Projector features a built-in rechargeable battery that provides up to five hours of projection time and it can also be used as a 6,400 mAh power bank for charging mobile devices. 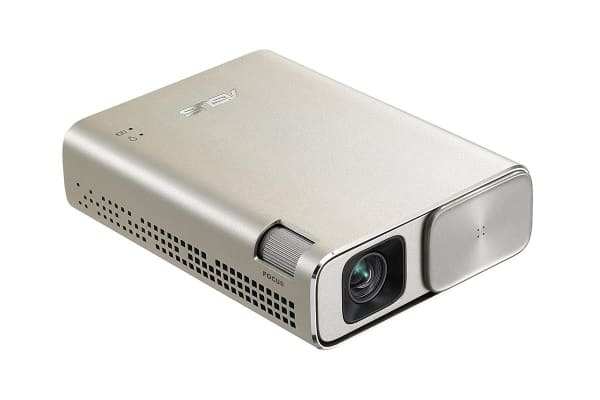 Offering 100% NTSC colour gamut and 150 lumens Eco-LED technology with a 30,000-hour lifespan, the E1Z delivers bright and crisp WVGA (854 × 480) visuals. It scales down Full HD (1980 × 1080) video files to match its native resolution, projecting 15 to 120 inch diagonal images at close distances. The ZenBeam Go E1Z is especially useful in confined spaces: it can project a full 120-inch image from just 3.7m away. ZenBeam Go E1Z also features DLP IntelliBright technology, which boosts brightness and contrast by up to 30% while lowering power consumption by up to 50%. An Auto Keystone correction feature automatically detects the projector’s orientation and corrects distortions that result from angled projections. 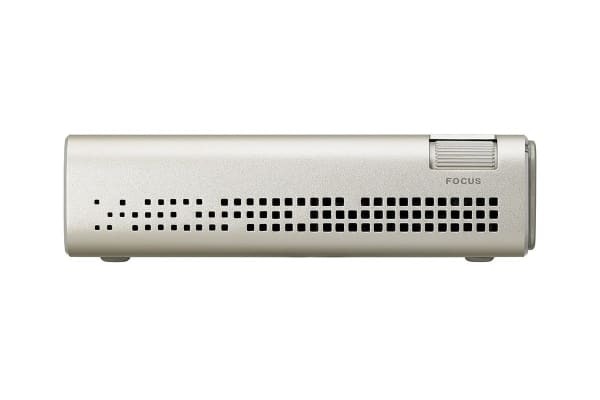 Also The ZenBeam Go E1Z includes an integrated ASUS SonicMaster-enhanced speaker for clear, powerful sound. Setting up the ZenBeam Go E1Z is easy. Just plug it in, point it at any screen or flat vertical surface and start projecting. A focus ring assists with minute adjustments, so you get crystal clear imagery, every time.